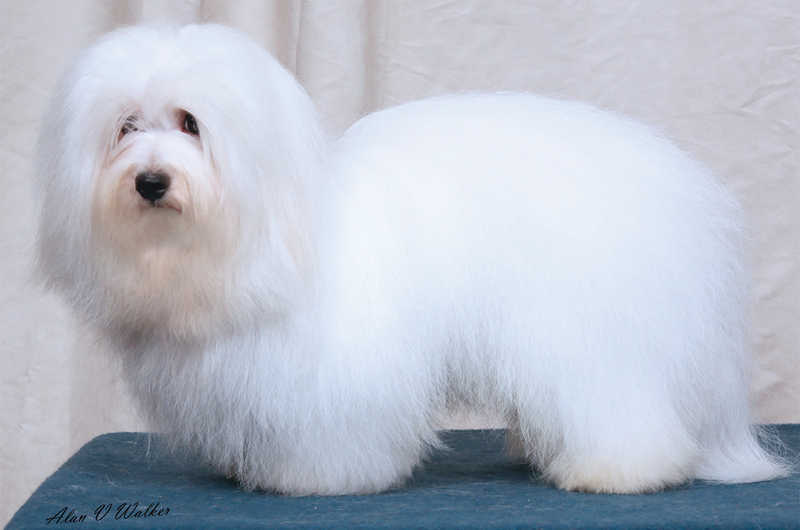 Kennel name, Cotonalba Barrapoll Sh.CM and son of Denny and Susie, Cotonalba Ballanlay, who was Best Puppy in Show at the club show in 2010, started his career winning Best Puppy in Breed at Crufts 2013, Top Coton Puppy in the same year and Top Coton in 2013, 2014 and 2015. His career totals were 22 Best Dog awards and 20 Best of Breed awards – winning Group 4 at the UK Toy Dog Championship Show in 2015. He was breed record holder for some considerable time, only recently being overtaken but remains second in the rankings. He is still with living with us.